Foxmor Estates is proud to announce new construction and homes in this breathtaking development. 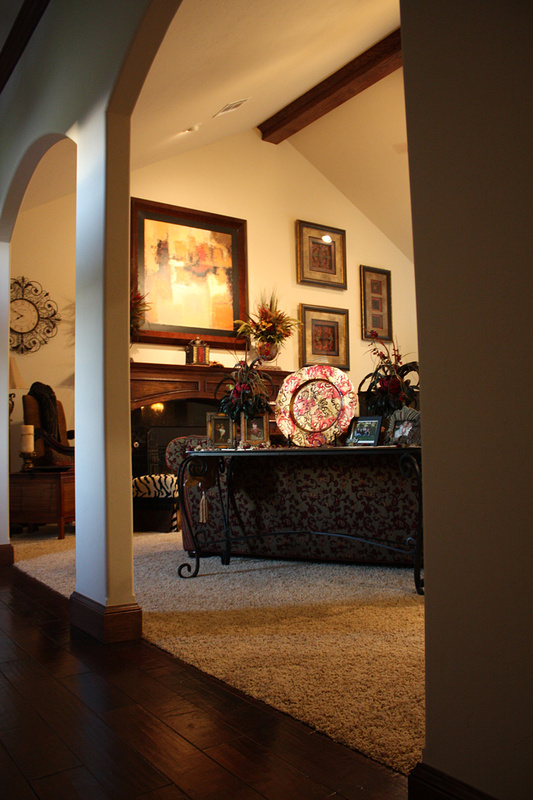 We are experiencing continued growth with beautifully architectured homes and wonderful families in this community. Foxmor Estates consists of 200 acres of mother nature’s most picturesque rolling hills, meadows, glens and boundless views. 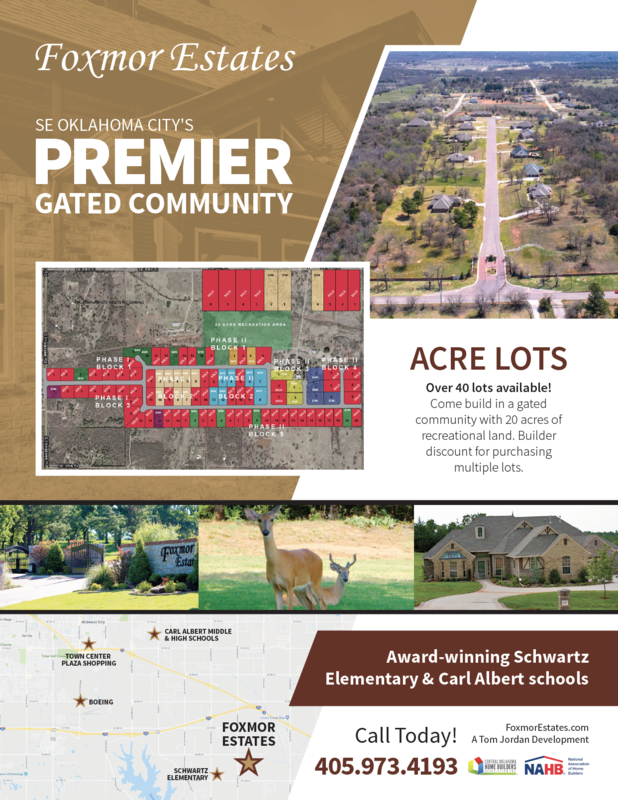 It is divided into 106 one-acre lots with a few 3 to 5 acre tracts for residents. A beautiful landscaped and secured gated entry greets you as you come in. 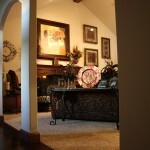 This entry can be viewed “live” over the internet for our homeowners. 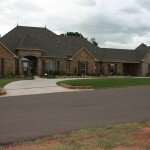 Completed, are homes ranging from 2400 to 5100 square feet. 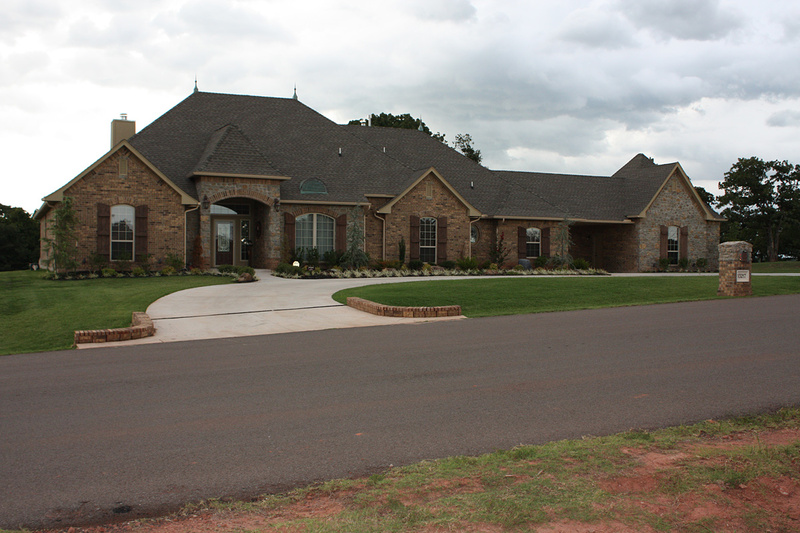 The platted covenants protect you with strict building guidelines, landscape requirements, and an architectural review committee. Foxmor Estates is in S.E. Oklahoma City and borders Oklahoma and Cleveland Counties. It is a very desirable location for those seeking privacy, low traffic, and a slower paced lifestyle. We are minutes from I-40 and I-240 with timely access to all of the Metro area, including Moore and Norman, Tinker Air Force Base and Midwest City’s new Town Center Plaza, “providing numerous new restaurants” are close by! 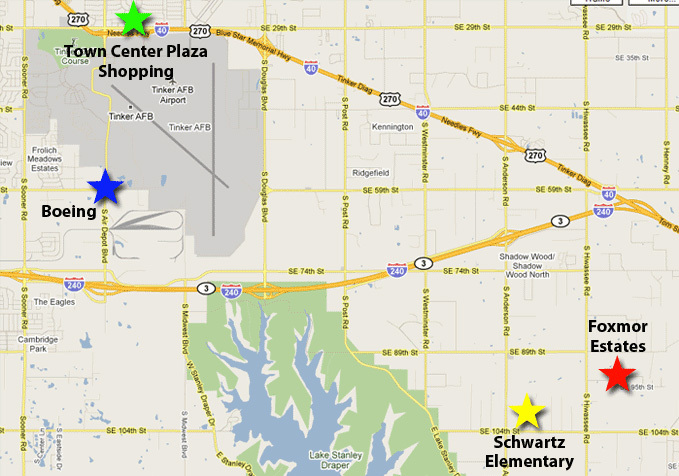 “Blue Ribbon” Schwartz Elementary and Carl Albert Schools, in the proud Mid-Del School System, are close by. Rose State College offers “ticket to Rose Program” for these students. Check this out for sure! Tom Jordan celebrated his 48th year as a builder and developer in 2018. Recently, he handed over the Foxmor development to his daughter Towry Barnard and his Son-in-law Adam Barnard. Towry and Adam are excited to continue his legacy of excellence. They are very thankful to the men and women who have helped Mr. Jordan build many homes and projects. Visit Foxmor Estates’ naturally serene country lifestyle today!